Teeth aren’t set rigidly in the jawbone — instead, they’re held in place by a network of fibers called the periodontal ligaments. After they have being moved, it takes several months for the periodontal ligament to adjust to the new position. So if you want to keep that new smile — and not waste all the time, effort, and money it took to get it — it’s essential to wear your retainer as directed. There are three basic types of retainers available today; each works best in particular situations. The most common is the so-called “Hawley” retainer — a thin, tongue-shaped piece of acrylic molded to fit your mouth, with a wire that holds your teeth in position. 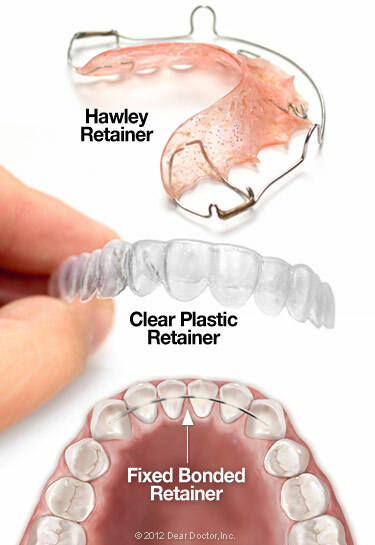 The Hawley retainer is simple, durable and easily removed. It’s even possible to personalize it by choosing different colors and designs for the plastic arch. Another popular style of retainer is the clear aligner-type, which looks similar to the Invisalign® tray system. These retainers are custom-made of thin, transparent plastic designed to fit precisely over your teeth. Their main advantage is that they’re invisible, with no wire to show. These retainers are also easy to remove, but they may be somewhat less durable than the Hawleys. They aren’t recommended for patients with certain conditions, like teeth grinding. At first, you will probably be told to wear your removable retainer all day, every day. This period of 24/7 retainer use generally lasts from several months to a year. Later, it may be OK to wear it only at night. Finally, you’ll probably need to put it on just a few nights a week. Finally, remember to always carry — and use — a retainer case. You’d be surprised how many retainers end up folded in a napkin and accidentally discarded! Also, don’t expose your retainer to excess heat by washing it in very hot water or leaving it on a heater: That can cause the retainer to warp and make it unusable. 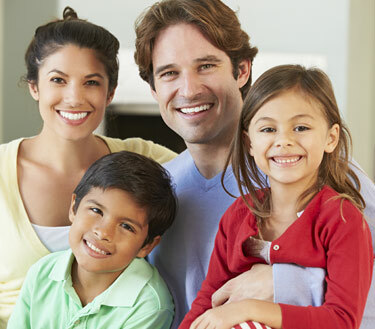 With proper care and conscientious use, a retainer can help you transition from braces to a permanent, healthy smile.